Air pollution may be worse inside your home than out. Volatile organic compounds (VOCs), for example, are gases released by many household products. They may cause problems like headaches, nausea, and irritated eyes and throat. 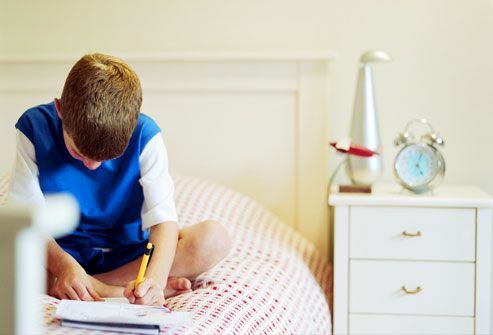 Indoor air pollution may be especially harmful to kids, who breathe faster than adults, inhaling more air. It particularly can affect babies, who are near the ground where heavy contaminants hang in the air. Many people complain of headaches, rashes, and eye and throat irritation when carpet is installed. 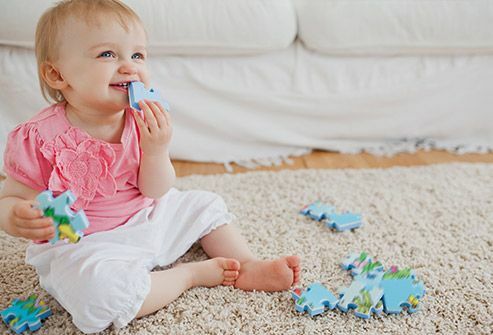 New carpeting, padding, and adhesive give off potentially harmful gases. Choose low-VOC carpet and ask that it be unrolled and aired out several days beforehand. Stay out of your house during installation and keep it well-ventilated for days afterward. 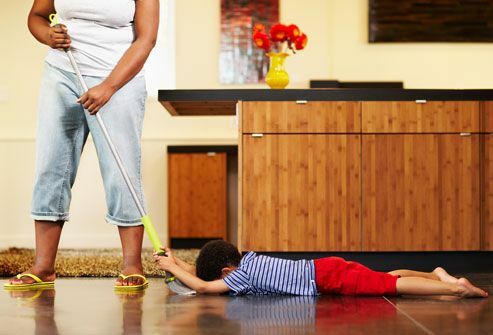 For kids with allergies and asthma, consider other flooring options. Paints and paint strippers can emit harmful gases. To minimize health risks, choose low-VOC paint and keep the windows open while painting and for several days while paint dries. Try not to store paint cans because gases can leak, even from sealed containers. If you must store paint, keep it in a well-ventilated area, away from the main living areas of your home. Cooking with nonstick cookware may release toxic fumes at very high temperatures. 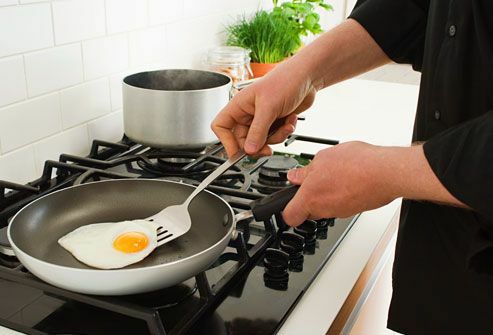 Nonstick coatings like Teflon emit chemicals when heated above 500 degrees. Don't use it in very hot ovens or preheat it on high on stovetops, and always use an exhaust fan. Instead, consider using cast iron or stainless steel pots and pans. 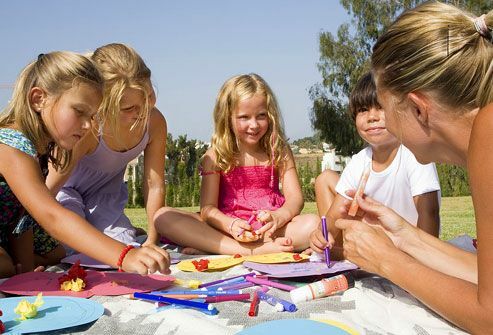 When your kids want to get crafty, head outside for better ventilation. Depending upon the product and the length of exposure, fumes from markers, glues, and other art supplies may cause headaches and eye, nose, and throat irritation. Overcooking polymer clays can release toxic chemicals into the air. Even some "nontoxic" markers may contain solvents that are dangerous when inhaled. The chemicals found in some household cleaners can be toxic if inhaled or touched, causing rashes and irritating the respiratory tract. This is particularly true for people prone to skin or breathing problems. Some products may aggravate allergies. Those that contain ammonia and chlorine may be especially irritating to children with asthma. 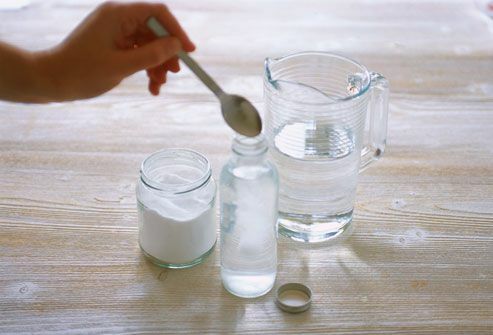 Try cleaning with hot water, baking soda, microfiber cloths, and less-toxic cleaning products. The next time you pick up your clothes from the cleaners, take a whiff. Dry cleaning most often uses perchloroethylene, a chemical that has been found to cause cancer in animals. When you bring freshly dry-cleaned clothes into your home, your family may be inhaling this potentially harmful chemical. Air dry-cleaned clothes in the garage for several days before wearing them or wash clothes by hand or in a washing machine. Living in a home where someone smokes can make children more prone to ear infections, pneumonia, bronchitis, and coughs. Children with asthma may have more frequent and severe attacks. Inhaling smoke may cause asthma in kids who never had symptoms before. 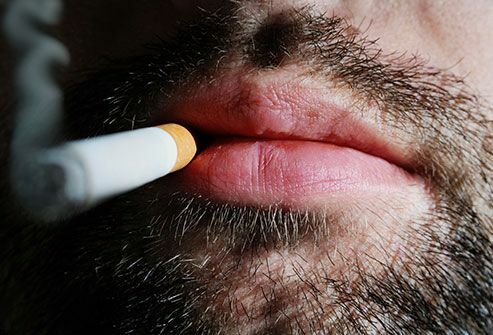 Thirdhand smoke -- the toxic residue that lingers in clothes, cushions, and carpet -- can be also harmful to kids, especially when they play or crawl on the floor. 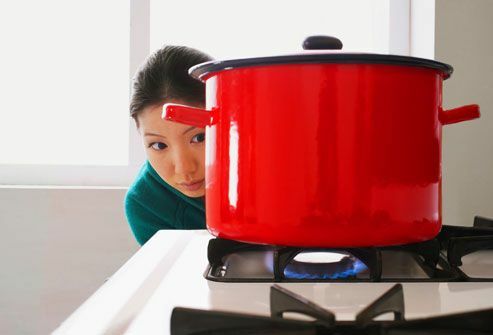 Improperly installed or vented gas stoves can release harmful gases into your home. At low levels, carbon monoxide can cause fatigue. Higher concentrations can cause nausea, headaches, confusion, and even death. Nitrogen dioxide can cause respiratory problems -- especially in children. Make sure burners are adjusted correctly so that flame tips are always blue. Vent the stove with a fan that blows outside. If your central heating and air conditioning system has problems -- ranging from cracks and dirt to poor ventilation -- dangerous gases such as carbon monoxide could be collecting in your home. Make sure your furnace – including the chimney and flue -- is well-maintained, including annual inspections and regular filter changes. You can’t smell, see, or taste radon -- a dangerous gas formed when uranium naturally decays in soil, rocks, or water. 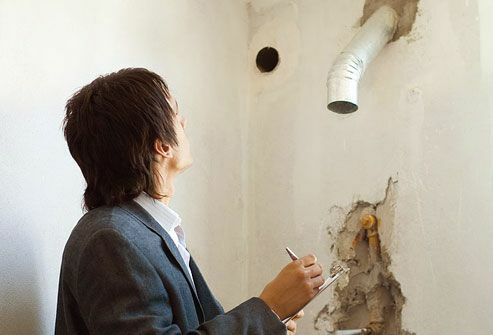 It can enter your home through cracks or holes in the foundation, walls, or around pipes. Radon is second only to smoking as a cause of lung cancer. Children may be more sensitive to radon because they breathe faster and take in more air. You can test for radon with a kit or call a radon inspector. Air fresheners may cause breathing difficulties and headaches for some people. In a study, nearly one-third of people with asthma said they had breathing problems when exposed to air fresheners. Tests by the Natural Resources Defense Council found that some air fresheners contain phthalates, a chemical linked to child developmental and hormonal issues. 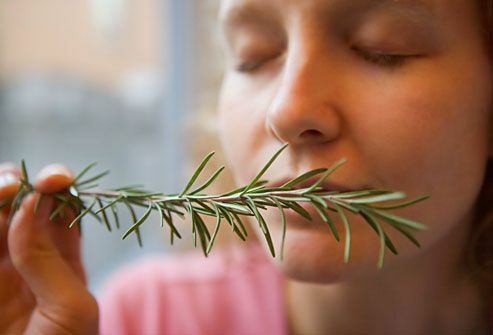 Instead, use natural herbs like rosemary, basil, or mint and good ventilation to freshen air. The chemical formaldehyde is common in pressed-wood furniture as well as permanently pressed drapes and clothes. Children are particularly vulnerable to respiratory irritation from formaldehyde fumes. Because new products give off stronger emissions, consider purchasing floor models. Air out new furniture and wash drapes before bringing them indoors. National Center for Healthy Housing.